Decorating your home on the cheap doesn’t have to be hard. In fact, there are a ton of DIY projects that are beyond easy and cost little money. Not to mention that these DIY projects make your home look amazing… seriously. I mean, not all of us have the time or money to spend on furnishings and decor. So when you can do it yourself and make it look great, then all the better. 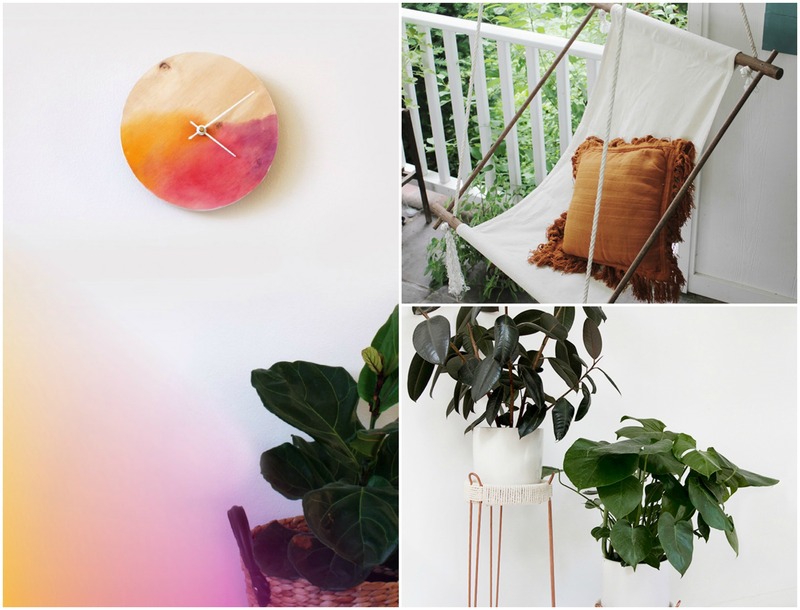 So if you want a simple way to make your place (whether a house or apartment) look awesome, but not cheap, then check out these great DIY projects done by awesome bloggers down below! Now whether your plants are real or not, I’d suggest trying this one out. It’s simple and a great way to give your home that minimalist look. If you cook a lot, then this is a great way to store and organize all of your cooking wear neatly. Also, it just looks pretty darn cool, so again, a great way to decorate your house on the cheap. Coffee addicts, pay attention. If you want an awesome way to decorate your kitchen and make your coffee prepping skill unbeatable, then try this DIY project out. Whether inside or out, this hanging chair is a great way to give your home a nice airy feel. I mean, couldn’t you see yourself chilling on this with a hot cup of coffee? If you want to try out the wall mounted planter look, but don’t feel like doing a DIY project, then consider buying one from CB2. It’s definitely a cute way to dress up bare space on your walls. I think I might be in love with this awesome and easy DIY watercolor clock. It’s a great way to add some fun hues as well as stay a bit minimalist. Want a super cute way to dress up your place? Then try this awesome DIY project out. It also has a “secret” compartment which makes it just a little bit more fun. Now if your bathroom needs a fancy touch up, then try giving your sink some gold legs. Now that’s a great way to make your place look expensive, but done on a dime. So this one looks complex, but it really isn’t. With a simple glass cutting tool, you can make this awesome gem mirror and place it almost anywhere in your home. Super simple but chic, this easy DIY X-Shaped Magazine Holder, is a great way to keep your living room clutter free, but stylish. Now whether you want to do something simple for one room or for your entire home, there are plenty of ways you can keep things under budget. A lot of the time, people spend thousands revamping their house or even their apartment, but with some awesome DIY projects or budget friendly decorations, your home can look like a million bucks. Now if you have any DIY home decor ideas yourself, let me know in the comments below! I’d love to hear about them!